This mellow mustard tastes like pure, sweet summer sunshine. It’s got that keen mustardy kick that every good mustard should have, but the bite is tempered with sunny sweetness of apricots and complex, nutty notes of chanterelle mushrooms. The familiar fruity-floral flavor and aroma of chanterelle mushrooms is often compared to – and paired with – apricots. The chanterelle’s distinctive flavor intensifies when the orange-yellow mushrooms are dried, becoming deeper, darker, richer and toastier. Here’s the tricky bit: dried chanterelles are one of the few mushrooms that can be rather tough when reconstituted. While the flavor of dried chanterelles is very pleasing, no amount of stewing or simmering can soften them sufficiently. Our solution? Pulverize or powder dried chanterelles before adding them to your favorite recipe. When broken into small bits, dried chanterelle mushrooms are ready to use in soups, stews, sauces, gravies – and mustards. While we heartily recommend this mustard for slathering on hot dogs, brats, burgers and other summery fare, it’s a condiment for all seasons. Since it’s made with dried apricots and dried chanterelles, all the necessary ingredients are readily available year round. 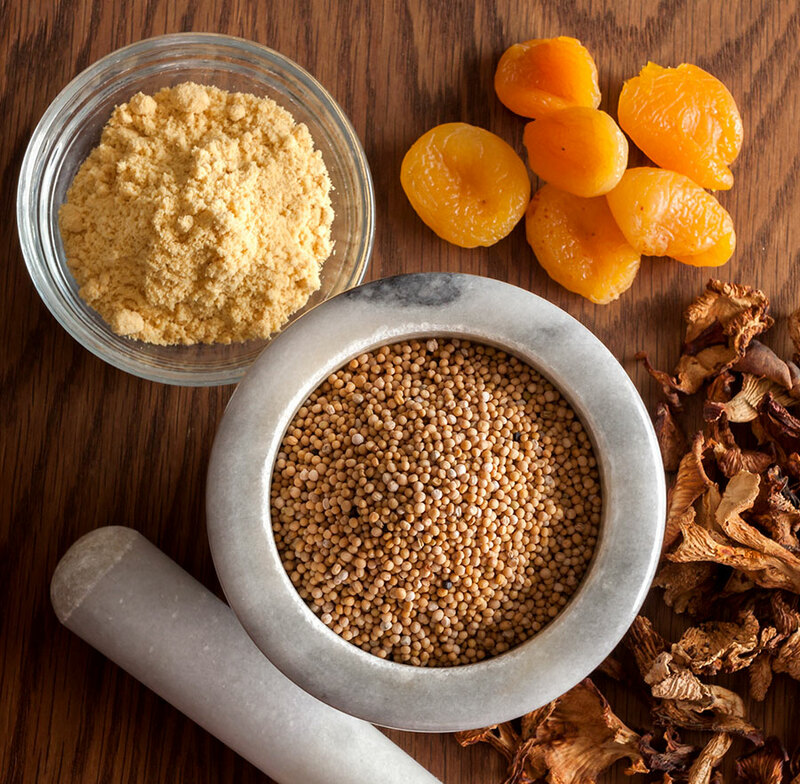 If you haven’t made homemade mustard before, you’ll be pleasantly surprised at how easy (and inexpensive) chanterelle-apricot mustard is to make. Whip up a batch now and you’ll be enjoying it for weeks to come. Preheat the oven to 325. Place the chanterelles on a baking sheet and slip them into the oven. Toast until fragrant and completely dry, about 15 minutes. Allow to cool, then grind into a coarse powder using a coffee or spice grinder or food processor. You should end up with about 2 generous tablespoons of chanterelle powder. Place the ground chanterelles into a small heatproof bowl and cover with 1 cup boiling (not just hot) water. Stir well and allow to steep until the mixture has cooled to room temperature. 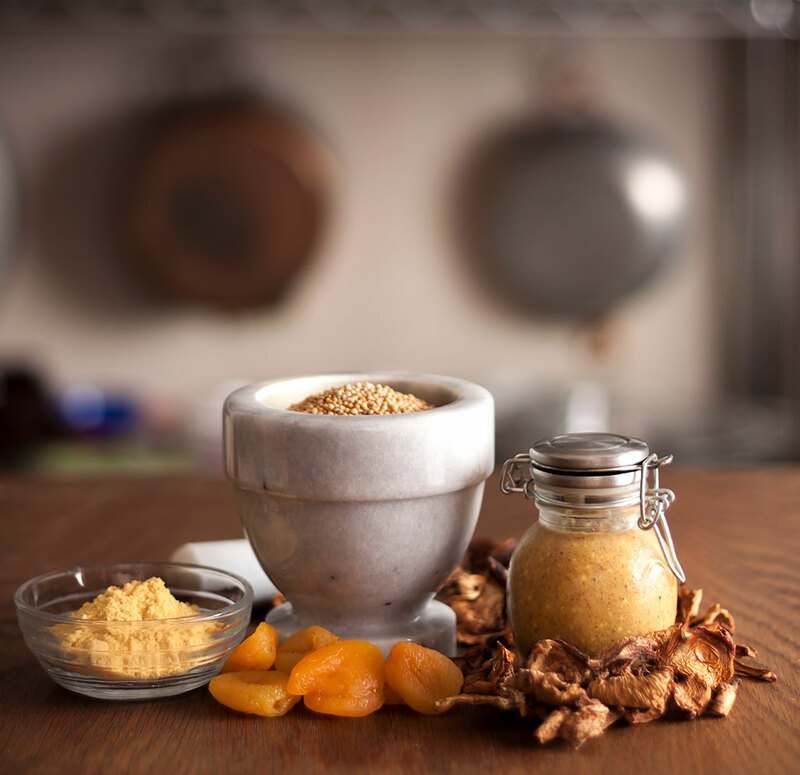 Mix the chopped apricots, mustard seeds and dry mustard with the chanterelle/water mixture. Cover tightly and refrigerate for several hours or overnight. 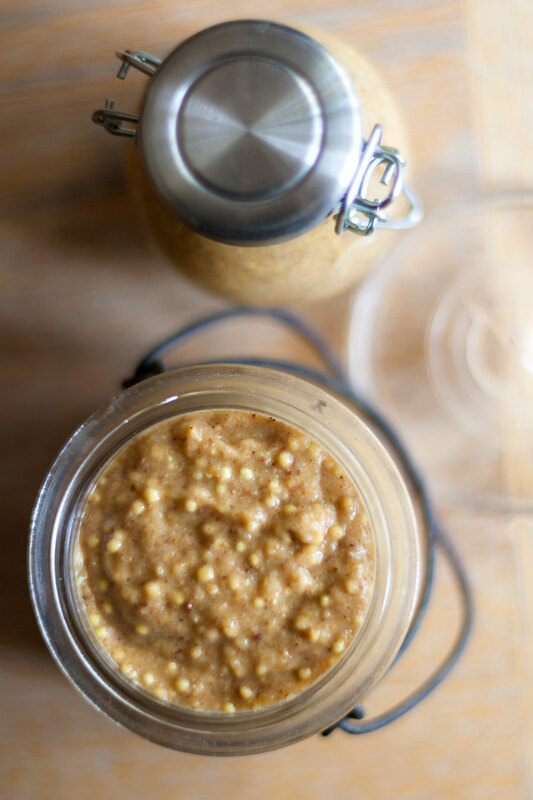 Pour into a food processor, add the vinegar and salt and process until it reaches the consistency of coarse-grain mustard, adding a little more water if needed. 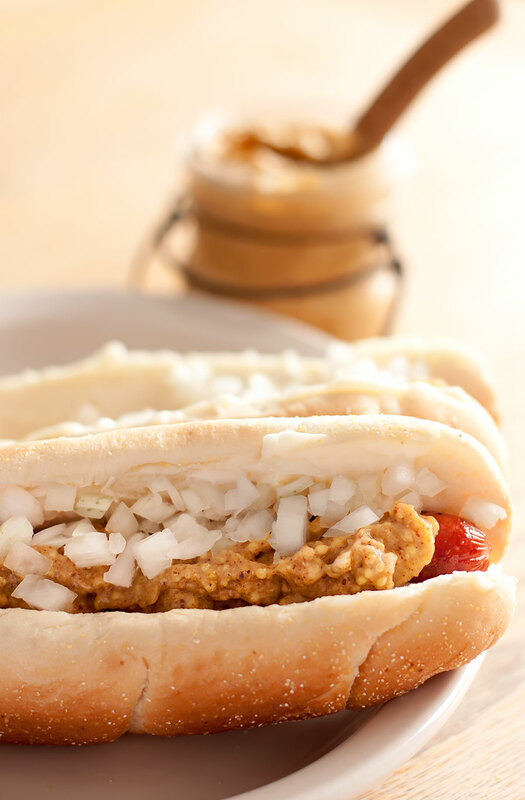 If you want a smoother, less grainy mustard, process for several minutes longer. When you’ve reached the desired consistency, taste your mustard, adding more vinegar and/or salt, until you have just the right balance of flavor. Spoon into a jar or other container with a tightly fitting lid and refrigerate. Keeps for several weeks in the refrigerator. 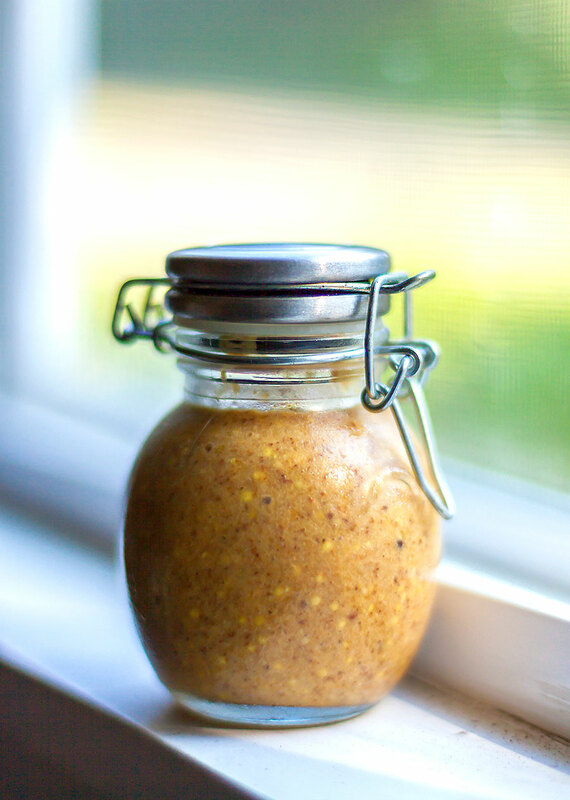 Wow – I love this idea of DIY mustard. This sounds amazing 🙂 It would be great in a salad dressing, too! Yes, indeed! We’ve also used in in vinaigrettes, mixed with sour cream to top potatoes, grilled fish and roasted meats and whipped with softened butter as a topping for vegetables.